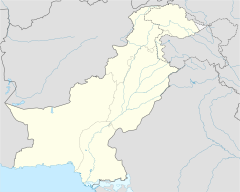 ^ 1.0 1.1 1.2 1.3 In Pakistan, Taliban's Easter bombing targets, kills scores of Christians. CNN. 2016-03-27 [2016-03-28]. ^ 2.0 2.1 Pakistanis hunt militants behind blast that killed at least 70. Reuters. 2016-03-28 [2016-03-28]. ^ 3.0 3.1 3.2 Death toll in Pakistan bombing climbs past 70. Washington Post. 2016-03-28 [2016-03-31]. ^ 4.0 4.1 Taliban says it targeted Christians in a park on Easter Sunday, killing 65. Los Angeles Times. 2016-03-27 [2016-03-28]. ^ 5.0 5.1 5.2 5.3 Pakistan Taliban faction claims park attack on Lahore Christians. BBC. 2016-03-28 [2016-03-28]. ^ 70 dead, 340 injured in Gulshan-e-Iqbal suicide blast in Lahore. The Nation. 2016-03-27 [2016-03-27]. ^ 7.0 7.1 Scores killed in attack on park in Pakistan's Lahore. Aljazeera. 2016-03-28 [2016-03-28]. ^ Pakistan explosion leaves many dead at Lahore park. BBC. 2016-03-28 [2016-03-28]. ^ Pakistan terror attack: 69 dead after suicide bomber strikes children's play area in Lahore. Telegraph. 2016-03-27 [2016-03-28].